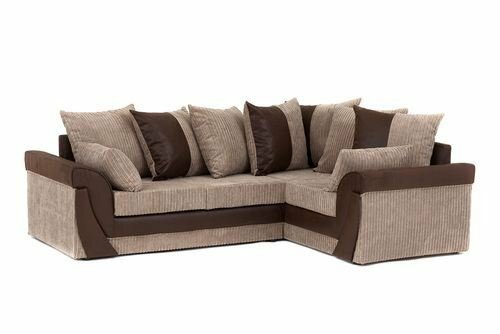 Simply Sofas are proud to stock the excellent Lush Corner Sofa in Brown&Beige, Faux Suede and Jumbo Cord Fabric. With so many on offer today, it is great to have a name you can trust. 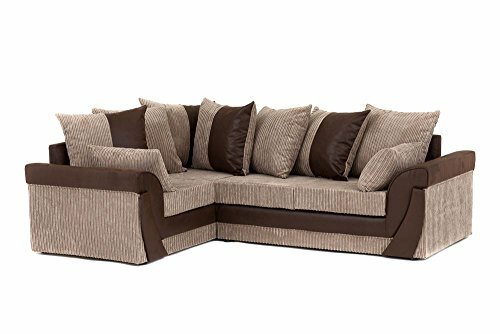 The Lush Corner Sofa in Brown&Beige, Faux Suede and Jumbo Cord Fabric is certainly that and will be a perfect buy. 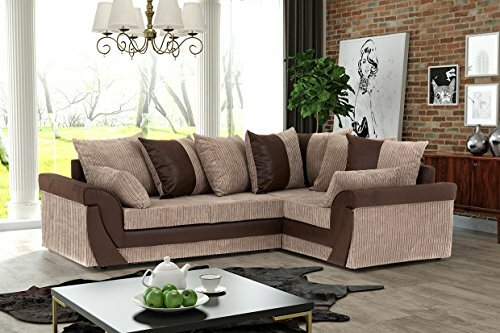 For this price, the Lush Corner Sofa in Brown&Beige, Faux Suede and Jumbo Cord Fabric comes highly recommended and is a popular choice amongst most people. Abakus Direct have provided some nice touches and this results in great value. Whether you're looking for a corner group or a couch, the Lush range offers an unsurpassable combination of design and value. 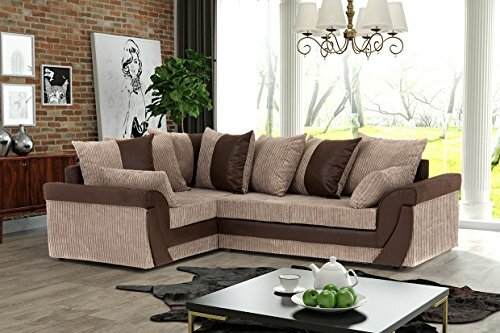 A combination of soft structured cable jumbo material and stylish synthetic suede together with foam seats and deep filled fiber backs make the Lush as comfortable as it is trendy. This corner couch is readily available as a left and ideal hand. Overall Size - (L)235cm X (D)175cm X (H)92cm Depth of seat - 60cm, Floor to seat - 45cm Upholstery - chenille cord fabric and faux suede 2-Year Warranty We only deliver to the mainland UK excluding Scottish Highlands.